“Princess Ka’iulani” presents a true enough story of the American Revolution in reverse, or at least contraposition. Q’orianca Kilcher plays the Hawaiian princess, raised in Britain after her mother’s death, who returns to Hawaii in the late 19th Century to try to save her country from the “tyranny” of American business! To do so, she must maintain royalty. It’s interesting that she needs to maintain monarchy to restore liberty. Nevertheless, she wants a constitution giving all native people the right to vote, regardless of “property interest”. It would be hard to say where this fits into libertarian thought. The episode would make a good subject for an SAT essay. At the end, she dies in 1899, at 23, of a broken heart, hardly literally. But not before a clean cut love affair with Clive (Shaun Evans). The film, directed by Marc Folby, was made with partly British resources (see comment), and distributed by Roadside Attractions and now the DVD by Liongate (of course), quite proudly. The film has also been called "Barbarian Princess Kaiulani" and there are some other YouTube videos (besides pointed here) that claim that the film distorts history. Again, maybe a good topic for a high school term paper. It would be instructive to compare the story of this film with that of the 1966 Mirsch film “Hawaii” of Michener’s novel, with Max Von Sydow and Julie Andrews. There was some line early in the film emphasizing the importance of people “getting married”. The Lionsgate DVD contains a 35 minute short from the Island Film Group, "Kaiulani: Crown Princess of Hawaii", directed by Roy Tjioe. The short (which reproduces the New York Harbor speech) gives much more detailed history, including the conviction of the Queen and pardon for treason, and the visits of novelist Robert Louis Stevenson. The political and legal process of annexation to the United States is discussed. The medical causes of her death are explained. "The native peoples were plundered by people who wanted more." This was America's first forced regime change. Ironically, I just got a book by George Friedman "The Next Decade" that maintains America has an unintended or accidental empire that threatens the nature of its Republic. The music soundtrack (including that of the featurette) includes some uncredited piano music that sounds like a Chopin nocturne. The original music is by Stephen Warbeck and the Honolulu Symphony is used, and it plays quite well. Wikipedia attribution link for Honolulu picture. I visited the city in August, 1980. 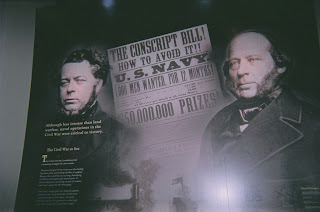 Second picture (mine) from Smithsonian Museum of American History. 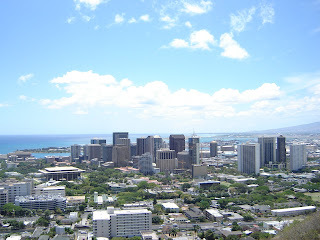 Thanks for the post on your blog about "Princess Ka`iulani". Regarding the history of the annexation of Hawaii, there is much the film didn't (and couldn't) cover in 90 minutes, but hopefully it provides a starting point for anyone that wants to dig deeper into the story. Also, one minor correction, the film was funded almost entirely by Hawaii residents. The project received less than 10% of its funding from the UK.